It’s that time of the year again, where you can reduce your income tax bill by making an additional contribution to your retirement annuity as well as contribute to a tax-free investment. We have put this article together to help you understand what’s on offer if you want to invest some of your hard-earned money so that less lands up in the hands of the taxman. The tax year-end in February means that you need to act soon if you still want to maximise your tax savings for this year. Your contributions to your RA reduce your taxable income, this means that you pay less income tax. Another big tax advantage is that while you are invested in an RA growth is free of dividends tax, income tax on interest and capital gains tax. In addition, at retirement, the portion that you withdraw in cash is exempt from tax up to a specified limit. You can invest R33 000 per year (up to a maximum of R500 000 over your lifetime) and benefit from the growth of your investment which is free of dividends tax, income tax on interest and capital gains tax. It’s important to note that you can only invest R33 000 per year in TFSA products. This is the maximum limit for all TFSA accounts in your name, across product providers. If you over-contribute, SARS will hit you with a hefty 40% tax penalty. RAs and TFSAs fulfill different objectives and it may not be an either/or decision, but rather a question of using both for different needs. From a retirement savings perspective, in most cases, RAs offer the best tax deal. However, access to your money is a lot more restricted in a RA than a TFSA. On the other hand, with a TFSA you will need to be disciplined and resist the temptation of withdrawing from your TFSA account in order to enjoy the long-term compounding benefits. 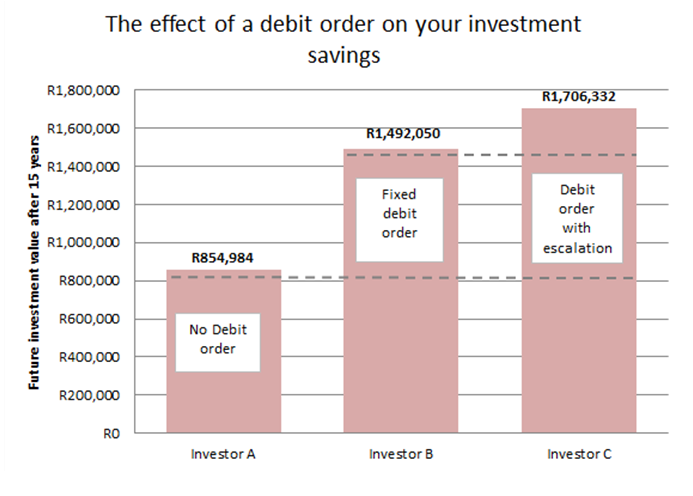 The below graph illustrates that a debit order can really add up to significant savings when combined, and when done consistently over a long period of time. This also speaks to the power of compound interest, which is often overlooked when thinking about savings and investments. 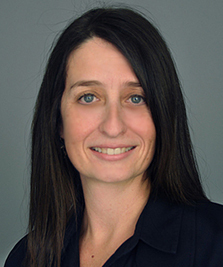 It is important to look at your portfolio holistically to ensure your decisions fit in with your long-term plan. If you haven’t reached these limits you have until the end of February to take advantage. Give Sharenet a call on 021 700 4800 or complete the form below if you would like to open a TFSA or RA account before year end.